At JDM Concept, we loved good quality products (especially wheels). So much so that we only sell products that we are happy to use it on our own car. We don't believe in double standards. One for our customers and one for ourselves. There is only one standard, JDM Concept standard. When comes to automotive aftermarket parts, JDM parts (i.e. Aftermarket car parts that are Made In Japan) are unrivalled in quality and design. That’s what inspired us to establish JDM Concept in 2002 and believed it or not (like a typical cliche) from a bed-room of rented apartment armed with a lap-top to supply JDM parts to car enthusiast in Australia. 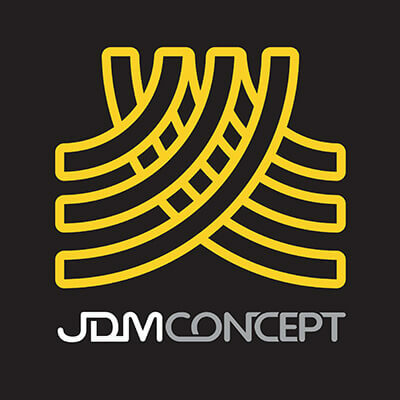 That’s where we decided to name ourselves JDM Concept because our concept is JDM. In other words, the foundation or concept a good car must start with good quality parts. After more than a decade of supplying many famous Japanese Tuning parts we decided to focus our attention solely on wheels in 2013 particularly the brand Work Wheels (Japan) and SSR Wheels (Japan) whom we have the privilege to be their official Australian distributor since 2006 and 2009. There is nothing special with the word Official, it just mean the authority to sell the wheels comes from the company themselves and deal with the products directly from them and not through any middleman. Although the parts that we focus to sell has shifted but our desire to bring only quality parts has not. In fact, being specialized in these two brands makes a lot of sense because it means we have undivided attention to deliver the order as quickly as the factory can supply the wheels and we have lots of experience handling wheels because no wheels are created the same particularly in area of brake clearance. If you are unsure about the brake clearance for your car, simply ask us. We will be able to assist you with it. In 2015, we did a collaboration with Work Wheels and created the GT5 1P (or simply called GT5) followed by GT5-3P three years later in 2018, a skillfully hand-assembled 3-piece modular wheel of the highest quality. We loved what we do over here at JDM Concept and we are driven "To do better than yesterday." We are thankful for many who have shared this journey with us and looking forward of providing good quality wheels in the years to come.